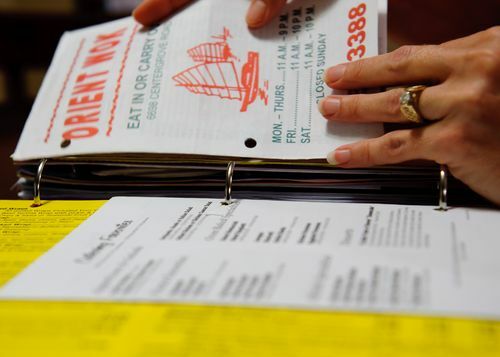 In this blog post, Jennifer shares her love for Chinese food and for the Home Management Binder from simplify 101. Think the two are unrelated? Think again! Not long ago, I was at my sister’s house, and we had planned to order Chinese carry-out for dinner. (I seriously, seriously love Chinese food.) She’d purposely brought home the menu and knew it was somewhere in the kitchen/dining room area, but where? I ended up joining the search party, and my quiet desperation grew with each passing moment. No menu meant no take-out for me before I had to leave. The clock was ticking! But even with several people looking, the Happy Wok menu was never found. Oh, the sadness over a missed opportunity for crab rangoon. I have to tell you it was all I could do not to suggest my sister do something about her paper, um… situation. But nobody likes a know-it-all, especially not a know-it-all little sister. So I kept quiet, all except for the loud rumbling in my empty stomach. 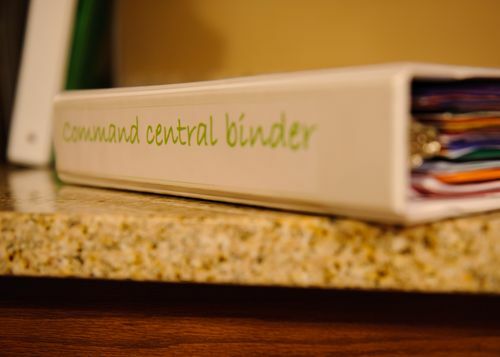 A friend forwarded a link to me for this “free home reference binder,” because she knew I was on a mission to get (and stay) more organized, and that paper clutter was an infuriating obstacle for me. (Gee, maybe it runs in the family.) It took a few days before I clicked through the link, but then I read this: “Are you tired of wasting time digging through stacks of papers…searching for the same documents over and over again?” Uhhhh, yes. Spooky. Had Aby Garvey seen my kitchen counter? Yikes! I read through the lesson. I wasn’t ready. But by the following weekend, I’d had enough of the paper clutter and got started on this project. I pulled together a binder, 3-hole punch, and the few other items recommended, then I set to work. The number one thing I love the most about the Home Management Binder is that it’s set up so you can easily chunk this project. 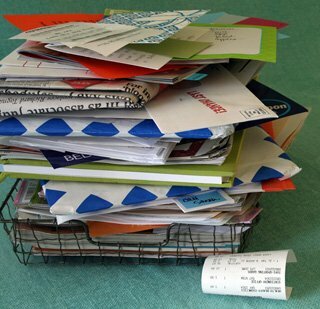 One reason I hadn’t successfully come up with a paper management system is that it was all too overwhelming. That was a whole lot of paper mess to try and figure out! Breaking it up into bites made me feel accomplished even when I just took a few steps towards the finish line. It also gave me time to think about how this needed to work for me. That brings me to the number two thing I love… this isn’t a one-size-fits-all approach. There are very helpful recommendations for how to set it up, but in the end it acknowledges that it needs to fit the way you will use it. If you love to dine out, you might benefit from a tab for menus, coupons, offers, and such. If you don’t dine out… well, does that mean you cook your own Chinese food? The number three thing I love is that this works. Oh my goodness, it so works. In the morning, I can easily tell the children what’s on the school lunch menu, or for that matter they can look for themselves! In the afternoon when the mail and the school papers fly into our home, no more are they sucked into that vortex. And on a particularly hectic evening, I can put my hands right on that take-out menu. Crab rangoon, here I come! And that kind of organization is seriously good fortune. Have you downloaded your Home Management Binder yet? Since I first created mine, Aby has even has even created a mini class to help you set one up. You get the download, 5 videos with Aby, the lesson in mp3 for listening on the go, 3 weeks of access to the mini class, plus more! I hope you love your binder as much as I do mine! I’ve got one! My dad saw it on my counter and thought the title was so funny that he took it upon himself to take a picture of it. Command Central? Yup. Although, I must add we don’t keep take out menus in it. We just look online because (A) I don’t need more paper (!!!) and (B) the prices and menu items change so we just look online. Love my CCB though! 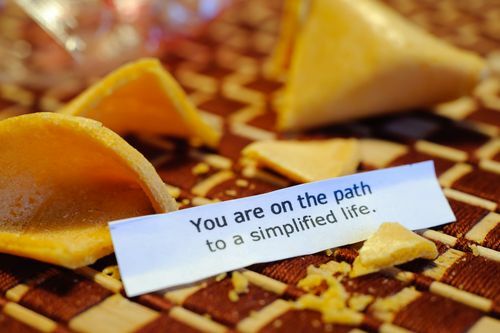 I agree -as long as you have something that works for you – all is good. I couldn’t get the hang of a binder – but I use a “treasure chest” that sits on my kitchen counter. Now all important papers go into that, and get cleaned out once a week. Bermuda Triangle kitchen LOL. I have a large island in my kitchen where my son does everything (homework, uses his computer, plays with toys etc) and I’m permanently trying to tidy it up as he always leaves something there. Unfortunately it’s not paperwork (well only comics, drawings, books etc) otherwise your binder would be the answer. Maybe I need a ‘treasure chest’ like Evelyn suggests that gets cleaned out at the weekend. I’ve also signed up for the binder so will check it out over the weekend.